OxyPots produce massive yields without a timer and with hardly any media. The roots grow through the mesh pots into the misting chamber full of nutrient solution. 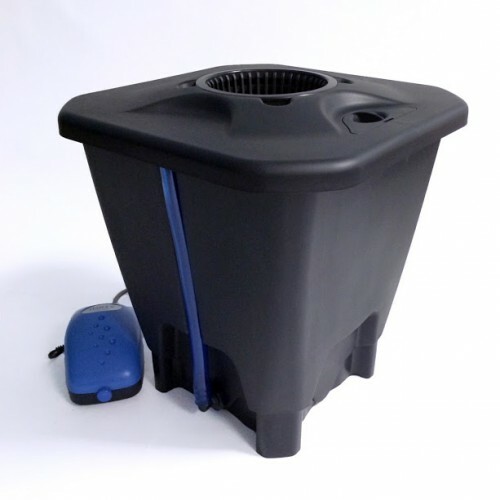 The air pump constantly oxygenates the solution and the roots have constant access to water, nutrients and oxygen for exceptionally fast growth. 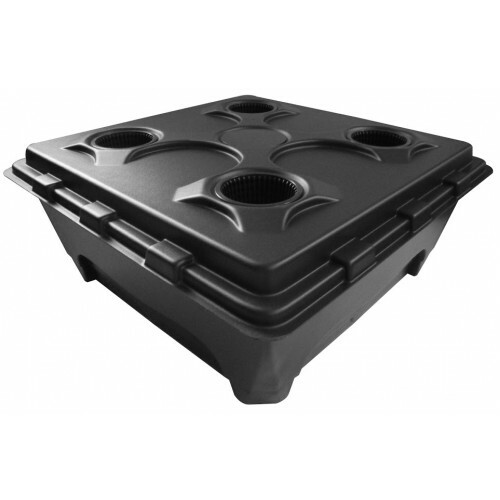 The misting chambers hold 19 to 100 Litres of nutrient solution - depending on the size you choose, so there's no need to visit your plants daily. Each plant only needs 1 litre of clay pebbles (unless you choose the 6.5 Litre net pot version) so you don't have to handle huge bags of media.